The number of vegan book titles available these days is just incredible and this list is expanding at an amazing rate each year. Just over the last few years some of the most anticipated books, by some of the most respected names in veganism (Gene Baur, Jason Wrobel, Mary Mattern, Jackie Sobon, Ruby Roth, and so many more), were released and this upcoming year is going to prove to be one of the most exciting years yet. Everything from ethical veganism to plant-based cuisine to Dave Loves Pigs, there is a wide selection of books for every taste to round out your own personal collection. Or, better yet, get some of these books into the hands of your friends to spread the word! Below is my own list (so far) of titles you can expect to see. If you have any to add, please comment below so I can update the blog post and we can keep this current through the coming months! Farm to Fable by Robert Grillo. This book, written by the director of Free From Harm, who formerly worked in the advertising industry, is about the many fictions we are taught about non-human animals. The Skinny on Soy by Marie Oser. This book counters a massive amount of misinformation about soy that has been put out there by those with connections to the meat and dairy industries. Millennial Vegan by Casey Taft. My next book will be a guide for younger vegans that provides support, tips for navigating in a non-vegan world, and tips for advocacy. Dave Loves Pigs by Carlos Patino. This is a follow up to the popular Dave Loves Chickens, and is about a monster from outer space who can’t believe that humans eat these amazing animals we call pigs. Libby Finds Vegan Sanctuary by Julia Feliz. As far as we know, this is the first every vegan-themed board book for young children. It’s about a turkey who is rescued and brought to a vegan sanctuary. PlantPure Kitchen from the same people who brought us the amazing PlantPure Nation film, cookbook, PlantPure Summit, and so much more. The China Study Family Cookbook from the same people who brought you the China Study film, cookbook, and so much more. Someone should come out with a Campbell’s soup or something. Kushi Institute Cookbook founded in 1978 by Michio and Aveline Kushi, Kushi Institute has offered guidance and support to thousands of individuals, families and organizations. The Ritz Carlton Hotel Company is among those organizations which have engaged Kushi Institute to instruct and guide their chefs in creating healthful macrobiotic menu choices which meet the Institute’s guidelines. 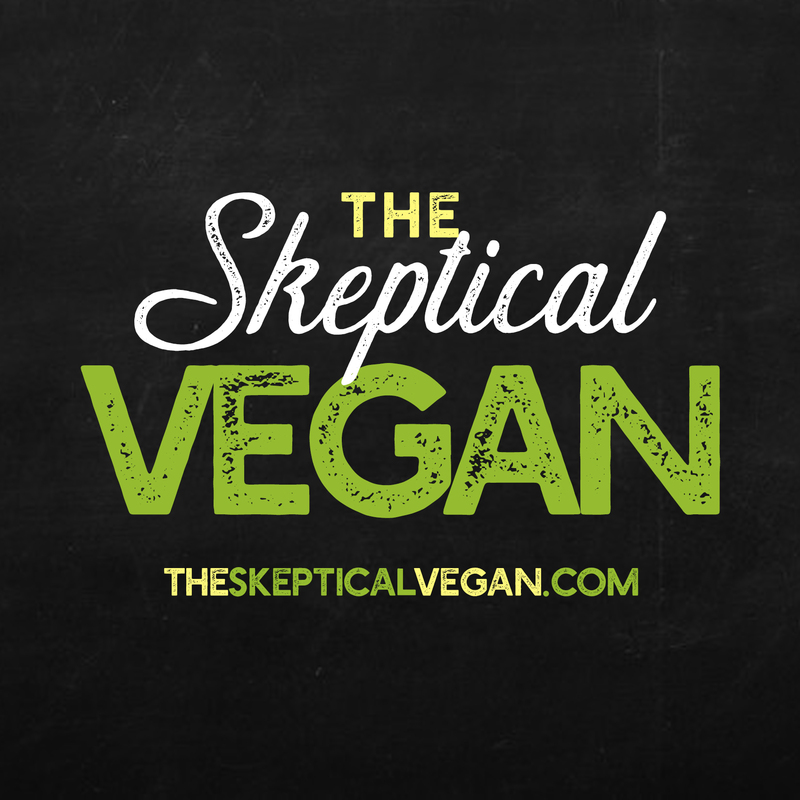 The Skeptical Vegan (Memoir/Cookbook) – Available NOW! Available at Amazon.com and Barnes and Noble! More than 25 of my favorite meaty dishes … veganized and made simple. NYC Vegan by Michael Suchman and Ethan Ciment (VeganMos): NYC Vegan brings New York’s fabulous foods to the plant-based table. The book was written by native New Yorkers as a tribute to the city they love. From the diners and delis of Brooklyn to the traditions of Little Italy and Chinatown, the foods of New York are the foods of the world. No Meat Athlete Cookbook from Matt Frazier. From the founder of No Meat Athlete: plant-based recipes packed with nutrition to help athletes perform better and recover faster! ORDER here!